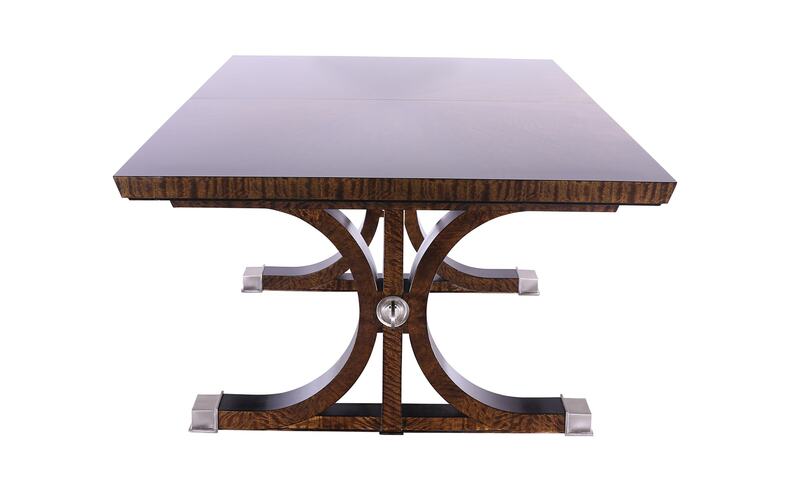 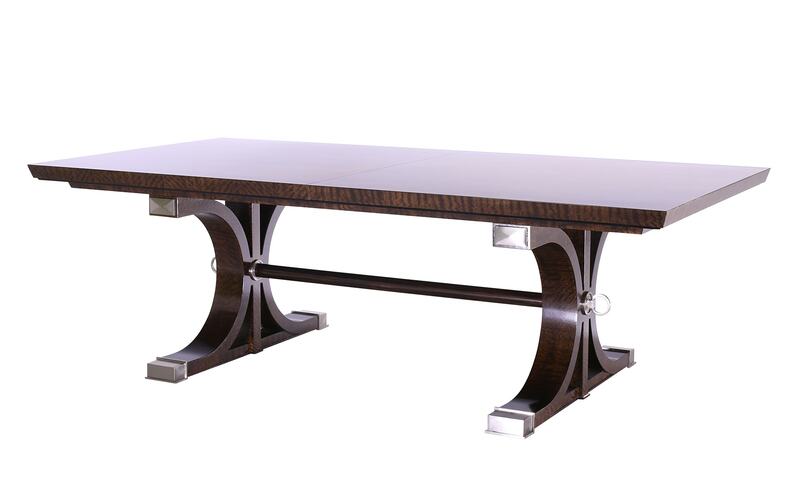 L’Arconique Dining Table is a classic example of the William Switzer Moderne style. 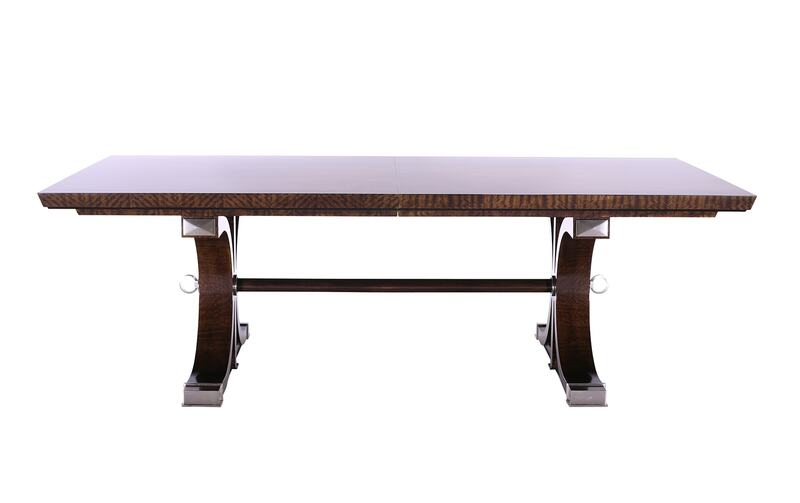 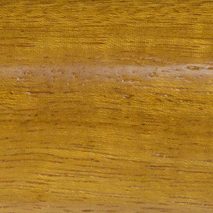 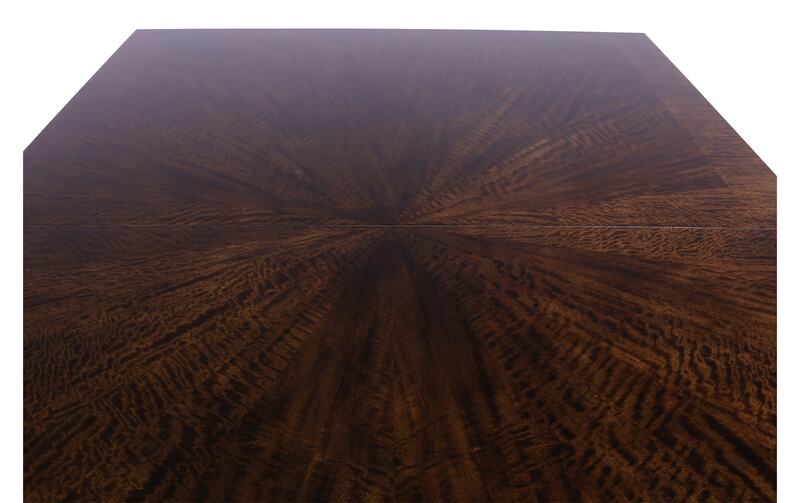 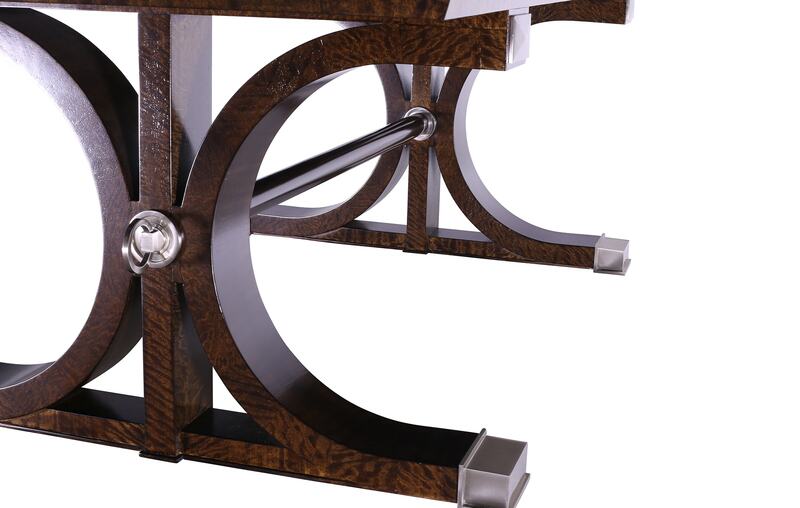 Handcrafted with masterful skill from Movingui veneers, complimented with a choice of nickel or bronze foot sabots. 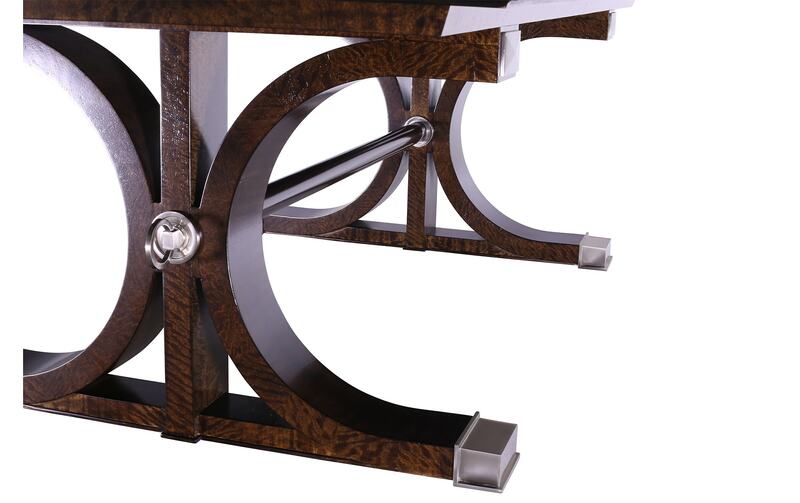 Part of the William Switzer Moderne collection, a series of previously unavailable designs brought to life by the skilled artisans at William Switzer.